Christmas Bliss Coffee Recipe - Detroit Bold Coffee Co. 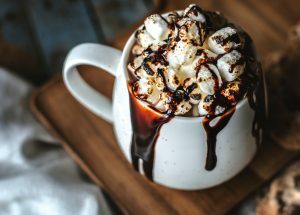 Looking for a fun holiday coffee recipe? Have fun with this easy to make Detroit Bold coffee recipe. It’s a perfect coffee treat to make with friends and family over the Holidays! Warm the eggnog and sugar in a microwave safe bowl for 1 minute. Why the Forgotten Harvest for Holiday Coffee? As you might know, we have a passion for the city and the people of Detroit. Detroit Bold chooses to support Forgotten Harvest by donating a portion of the proceeds back to this incredible cause. We blend two types of Forgotten Harvest handcrafted roasts; a light roast and a dark roast. We chose these blends because they go perfectly with the cool Fall & Winter weather. The light and dark roasts are a perfect hit for get-togethers with friends & family. You can enjoy this seasonal blend of coffee right now! Stock up with extras knowing it’s a perfect holiday blend & you are supporting a great cause with every sip you take!